Craftsmanship Tradition. Modern sensibility. Contemporary Design. Timeless. Feminine. 100% Natural fabrics. Handmade in Spain. 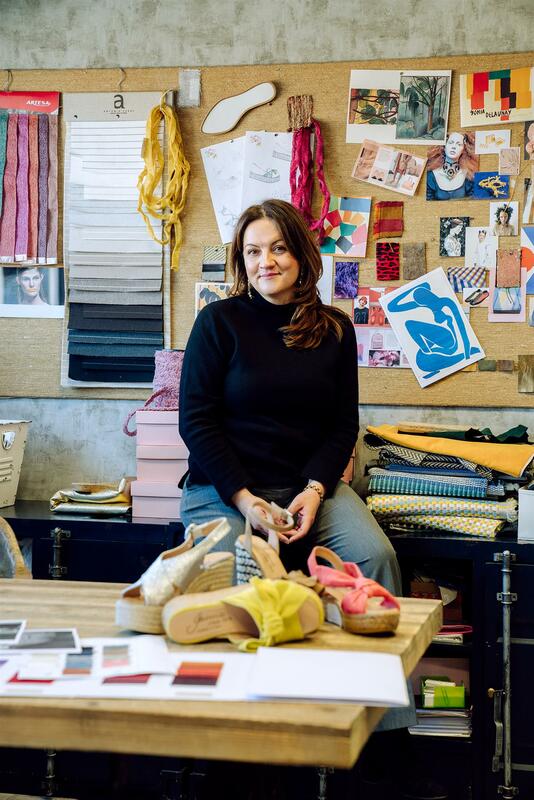 José Luis Iturriaga is the adventurous entrepreneur who, together with his wife Esmeralda, started a small handmade espadrilles workshop in Arnedo (La Rioja, Spain) with the ambition to become a successful shoe brand. “I understood the value of the craftsmanship tradition of the region, but I also knew that with innovative technologies we could aspire to manufacture a top-quality product that joined the best from both worlds”. José Luis Iturriaga, Founder of Gaimo shoes. The year was 1978, and Calzados Gaimo was born. Fast-forwarding 40 years, the combination of vanguard and tradition is still today the essence of Gaimo shoes. Its designs can be found around the world, on the windows of the best stores in more than 100 countries. José Luis’ four daughters, who used to spend long summers around their father’s factory, now run the company by his side. Esmeralda is the design team leader, Alicia is in charge of the Finance Department; Fatima manages the Commercial Area; and Lara commands the Marketing Department. “Gaimo is an international brand, but we are a familiar local business. 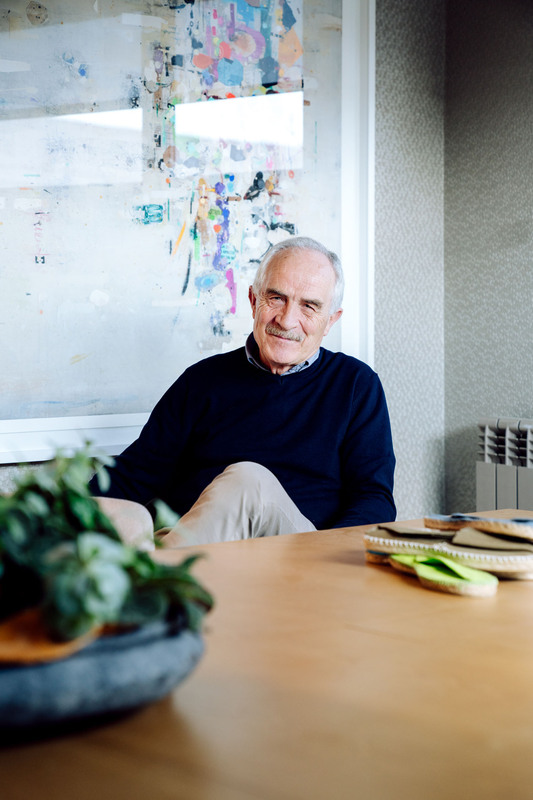 This means that we work close together with our teams and collaborators to keep Gaimo growing as a brand, yet we always stay true to our origins.” José Luis Iturriaga, Founder of Gaimo shoes. Made in Spain. La Rioja. Arnedo. Our manufacturing process blends traditional and innovative techniques to ensure the quality, comfort and endurance of Gaimo shoes. “Its small universe is filled with natural raw materials, pure and elegant designs, simplicity and emotion. Comfort is one of our top priorities: a client may fall in love with a pair of shoes for many reasons, but without comfort nothing else matters”. Esmeralda Iturriaga, Gaimo design team leader. Each season, new inspirations and trends inhabit our collections, but they all embrace the beautiful imperfections of handmade work. The craft look is ultimately Gaimo’s fashion signature.